Nice shot -- like all the detail in the fence boards. What a cutie! Great light! 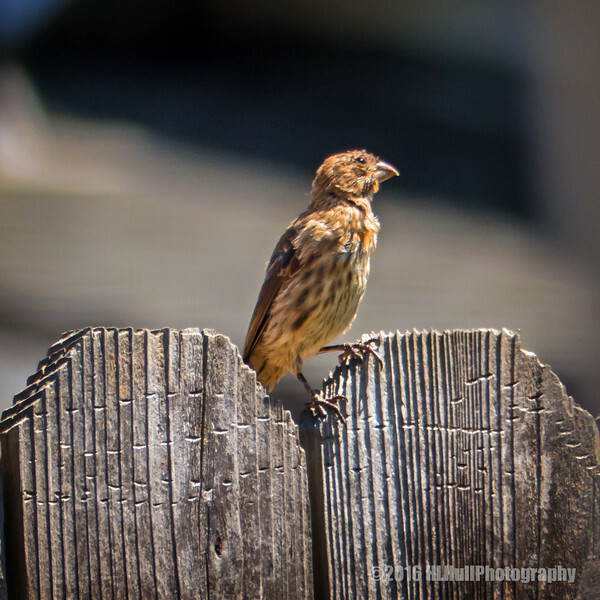 Small house finch and a great shot of it!